Ghanaian cuisine is part and parcel of Ghanaian culture. The cuisine sees a major use of starchy food which is the staple food of the people of Ghana. Some of the starchy foods that form a part of the cuisine include cassava and plantain; maize, yam as well as beans also feature in most of the recipes. Today, we bring to you the Top 5 Ghanaian Dishes for inspiration for your kitchen. 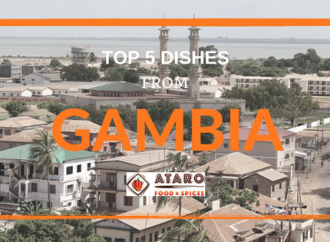 This is one of our series on Top 5 Foods in every country in West African region. 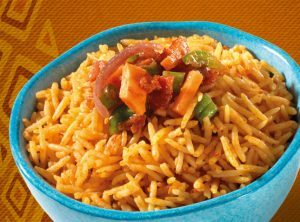 Although the Ghanaian Jollof Rice recipe is very similar to the Nigerian version, it has its own flavour. 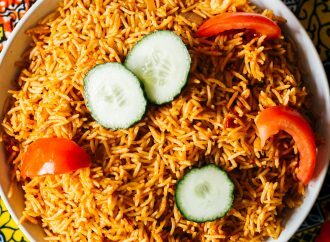 Waakye Leaf Blog shares this very interesting Ghanaian version of the Little Black Dress (Jollof Rice) recipe. Banku is a dish that is made out of fermented corn and cassava dough in a proportionate mixture. It is usually served as balls (approximately the size of an orange) with stew or soup. This dish would become a favourite if you love corn in all forms. In this recipe shared by Ghanaian Food Blog, Banku is served with Okro soup. 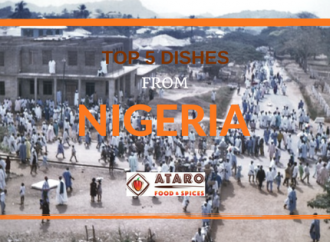 Although in this recipe there is not much of spices involved, you can surely add any of Ataro Food & Spices’ spice blends to give a different flavour to your dish. This dish is pronounced as WaChi or Waache or Awaakye depending on the tribe one is from. Waakye is a proof for how much Ghanaians love their beans and rice. This dish is a very spicy combination of rice and beans, served with eggs, fried fish,or fried chicken. Aftrad Village Kitchen shares this lovely recipe of the Waakye that we can try. To add a twist to it, you can use any of of the spice blends available from Ataro Foods & Spices Store. 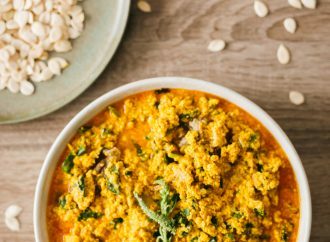 So now we have a recipe for our vegetarian readers (that can be modified to be made vegetarian), yes not every dish made in Ghana has meat, this is a recipe that will make even those who dislike beans to relish them. 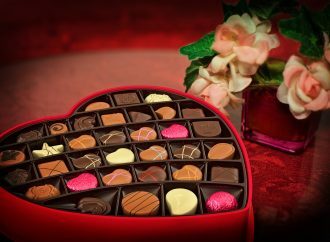 In this elaborate recipe by Immaculate Bites, you can learn how to do this dish, step by step. The dish gets its colour and also its name from the tomato base. The flavours of the ingredients will surely get enhanced when you include spice blends from Ataro Foods & Spices Store. This is a very popular street food that one must try if you want to experience the real flavour of Ghanaian cuisine. Chichinga is a street food that is commonly an appetizer and even a favourite party snack all through West Africa. The Nigerian version of this dish is the suya. In this post by BetumiBlog, you will find recipes for Chicken and Beef Chichinga. Similar to our Suya recipe, you can make use of Suya BBQ Rub for this Chichinga. 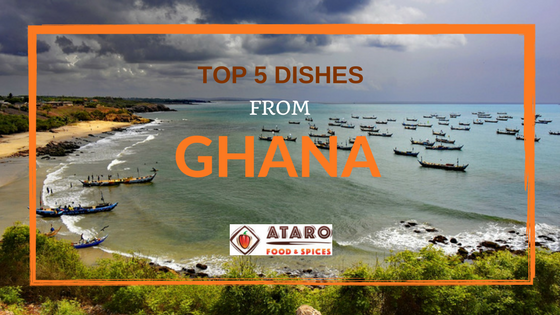 So this is a list of Top 5 Ghanaian Dishes for your inspiration, do let us know what you loved the most. Head to Ataro Foods & Spices Store for a variety of spice blends.